Dr. Augustin DeLago attended CW Post College where he graduated in 1980. He received his Medical Degree at St. George’s University in 1987. He completed his Medical Residency in 1990 at Mt. Sinai Hospital in Hartford, CT. Dr. DeLago’s Fellowship in General and Invasive Cardiology was completed at Albany Medical Center in 1993. 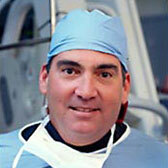 Dr. DeLago is Board Certified in Internal Medicine and Cardiology. He is a Fellow of the American College of Cardiology and a Fellow of the Society for Cardiac Angiography and Interventions. He is on staff at Albany Medical Center, Albany Memorial Hospital, and St. Peter’s Hospital in Albany, NY as well as Samaritan Hospital and St. Mary’s Hospital in Troy, NY. Dr. DeLago is currently the Director of the Cardiac Catheterization Laboratory as well as the Director of Interventional Cardiology at Albany Medical Center. Dr DeLago is also currently President of Capital Cardiology Associates, PC, as well as Founder and Director of the Cardiac CT Imaging Suite at Corporate Woods. Dr. DeLago’s cardiology specialties include general cardiovascular disease with a special interest in invasive and interventional procedures, including cardiac catheterization, coronary angioplasty, coronary stenting, intravascular ultrasound, directional atherectomy, rotational atherectomy, and angiojet. He currently is Primary Investigator for a number of invasive clinical trials being performed at Albany Medical Center and implantation of the Boston Scientific Watchman device. Dr. DeLago lives in Loudonville with his wife, Darcy and their three children. When he is not practicing cardiology, Dr. DeLago enjoys spending time with his family, coaching youth soccer, and skiing.